Yes, it is coming. What a natural self testing system. As recognition software improves, it identifies faces on the internet a an ongoing project. Success is achieved once all images are correctly identified. At the very least all forms of impersonation fraud becomes impossible and you will not be able to hide from your government at all. I am not so sure that I am particularly bothered by this development. There will be approved cut outs and we will simply learn to operate inside appropriate bounds. We do anyway. What is lost is freedom to abuse process. The reward though is steadily improving personal security. That has been the objective of civilization from day one. What will become profoundly inappropriate is the abuse of data to extort privilege. That is likely to be carefully defended in the courts. State and local law enforcement agencies are relying on a wide range of databases of facial imagery, including driver’s licenses and Facebook, to identify suspects. The F.B.I. is developing what it calls its “next generation identification” project to combine its automated fingerprint identification system with facial imagery and other biometric data. The State Department has what several outside experts say could be the largest facial imagery database in the federal government, storing hundreds of millions of photographs of American passport holders and foreign visa applicants. And the Department of Homeland Security is funding pilot projects at police departments around the country to match suspects against faces in a crowd. The N.S.A., though, is unique in its ability to match images with huge troves of private communications. “We would not be doing our job if we didn’t seek ways to continuously improve the precision of signals intelligence activities — aiming to counteract the efforts of valid foreign intelligence targets to disguise themselves or conceal plans to harm the United States and its allies,” said Vanee M. Vines, the agency spokeswoman. She added that the N.S.A. did not have access to photographs in state databases of driver’s licenses or to passport photos of Americans, while declining to say whether the agency had access to the State Department database of photos of foreign visa applicants. She also declined to say whether the N.S.A. collected facial imagery of Americans from Facebook and other social media through means other than communications intercepts. Ms. Lynch said a handful of recent court decisions could lead to new constitutional protections for the privacy of sensitive face recognition data. But she added that the law was still unclear and that Washington was operating largely in a legal vacuum. Laura Donohue, the director of the Center on National Security and the Law at Georgetown Law School, agreed. “There are very few limits on this,” she said. Congress has largely ignored the issue. “Unfortunately, our privacy laws provide no express protections for facial recognition data,” said Senator Al Franken, Democrat of Minnesota, in a letter in December to the head of the National Telecommunications and Information Administration, which is now studying possible standards for commercial, but not governmental, use. Facial recognition technology can still be a clumsy tool. It has difficulty matching low-resolution images, and photographs of people’s faces taken from the side or angles can be impossible to match against mug shots or other head-on photographs. That can lead to errors, the documents show. A 2011 PowerPoint showed one example when Tundra Freeze, the N.S.A.’s main in-house facial recognition program, was asked to identify photos matching the image of a bearded young man with dark hair. The document says the program returned 42 results, and displays several that were obviously false hits, including one of a middle-age man. Similarly, another 2011 N.S.A. document reported that a facial recognition system was queried with a photograph of Osama bin Laden. Among the search results were photos of four other bearded men with only slight resemblances to Bin Laden. But the technology is powerful. One 2011 PowerPoint showed how the software matched a bald young man, shown posing with another man in front of a water park, with another photo where he has a full head of hair, wears different clothes and is at a different location. It is not clear how many images the agency has acquired. The N.S.A. does not collect facial imagery through its bulk metadata collection programs, including that involving Americans’ domestic phone records, authorized under Section 215 of the Patriot Act, according to Ms. Vines. The N.S.A. has accelerated its use of facial recognition technology under the Obama administration, the documents show, intensifying its efforts after two intended attacks on Americans that jarred the White House. 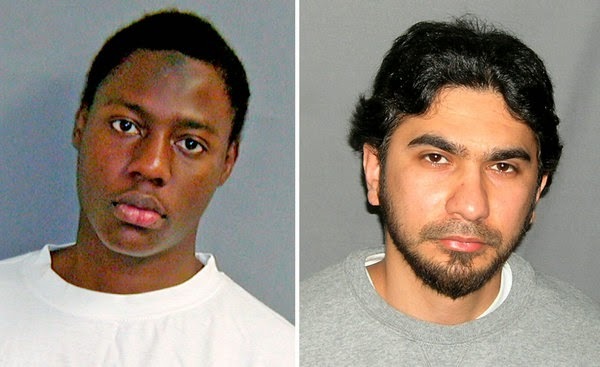 The first was the case of the so-called underwear bomber, in which Umar Farouk Abdulmutallab, a Nigerian, tried to trigger a bomb hidden in his underwear while flying to Detroit on Christmas in 2009. Just a few months later, in May 2010, Faisal Shahzad, a Pakistani-American, attempted a car bombing in Times Square. The agency’s use of facial recognition technology goes far beyond one program previously reported by The Guardian, which disclosed that the N.S.A. and its British counterpart, General Communications Headquarters, have jointly intercepted webcam images, including sexually explicit material, from Yahoo users. The N.S.A. achieved a technical breakthrough in 2010 when analysts first matched images collected separately in two databases — one in a huge N.S.A. database code-named Pinwale, and another in the government’s main terrorist watch list database, known as Tide — according to N.S.A. documents. That ability to cross-reference images has led to an explosion of analytical uses inside the agency. The agency has created teams of “identity intelligence” analysts who work to combine the facial images with other records about individuals to develop comprehensive portraits of intelligence targets. The agency has developed sophisticated ways to integrate facial recognition programs with a wide range of other databases. It intercepts video teleconferences to obtain facial imagery, gathers airline passenger data and collects photographs from national identity card databases created by foreign countries, the documents show. They also note that the N.S.A. was attempting to gain access to such databases in Pakistan, Saudi Arabia and Iran. The documents suggest that the agency has considered getting access to iris scans through its phone and email surveillance programs. But asked whether the agency is now doing so, officials declined to comment. The documents also indicate that the N.S.A. collects iris scans of foreigners through other means. In addition, the agency was working with the C.I.A. and the State Department on a program called Pisces, collecting biometric data on border crossings from a wide range of countries. One of the N.S.A.’s broadest efforts to obtain facial images is a program called Wellspring, which strips out images from emails and other communications, and displays those that might contain passport images. In addition to in-house programs, the N.S.A. relies in part on commercially available facial recognition technology, including from PittPatt, a small company owned by Google, the documents show. The N.S.A. can now compare spy satellite photographs with intercepted personal photographs taken outdoors to determine the location. One document shows what appear to be vacation photographs of several men standing near a small waterfront dock in 2011. It matches their surroundings to a spy satellite image of the same dock taken about the same time, located at what the document describes as a militant training facility in Pakistan.